At WoW, you will have the opportunity to sample a wide range of Whiskies: from the biggest brand names to expressions from the world’s greatest independent bottlers to some of the rarest bottles in the world. Whiskies from the US, Scotland, Ireland, Canada, Japan, Australia and more. Maybe even a few that will surprise the most savvy connoisseur. And WoW doesn’t stop with Whiskies. American craft distilling is a growing luxury segment of the spirits industry. These artisans will offer samples of their handcrafted vodkas, gins, liqueurs and other varieties of distilled spirits. 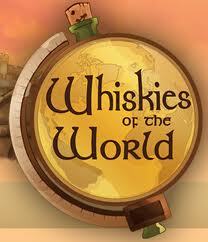 Join us at Whiskies of the World® Expo and celebrate the “water of life”.